A great headshot is the most important marketing tool for anyone who wants to get into acting or modeling. 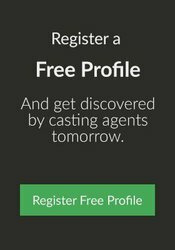 For that reason we have put together a small article that will allow you to create the perfect headshot for your Mixfame.com casting profile. A great headshot can easily cost you $1.000 but see this as an investment in your career. The more serious you are about acting and modeling, the better your headshot has to be. If you are brand new to acting or modeling or if you don’t have money to invest in your career, read the end of this article how to ‘Do it yourself headshots’, but remember – If you don’t invest in this essential tool for actors and models, you will most likely fall behind the many other people who has better head shots than you. Before we start, remember that this guide has focus on headshots for Actors and Models, so if you are a dancer or singer, this is not necessarily the right article for you! Simple Clothing – We don’t want to see that D&G Dress or your new Tuxido from Armani, we want to see your face and features. Very little makeup – Ok guys, I know this is easy for you but it also applies to girls! Don’t apply too much makeup on your headshot. This photo should represent you as you are and believe me when I tell you that casting directors hate makeup on headshots. Your eyes are the most important focus point – Look at the camera, make sure your eyes are in focus and show your personality through them! Don’t show skin – Guys, unless this is a shirtless commercial featuring six-packs, we don’t care about your sixpack. Keep your shirts on. Girls – Cleavage is not a feature for acting necessarily, wear something decent. Color is preferred – In the Middle East, skin tones matter. 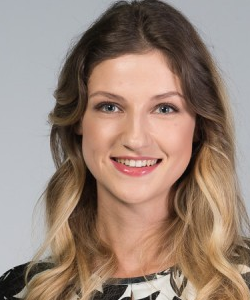 Don’t show a black/white headshot, its 2015 and color cameras has been around long enough. Have at least 2 headshots – If you are acting, have at least a standard headshot and a headshot that shows expression. Show personality! – This is an essential part of your headshot. If you don’t show personality the picture will look boring and flat. Shine through, commit to the expression and make it full of energy, personality & character! No hair in front of face – I know you think the photo is amazing, but if the casting director can’t see ALL of your facial features without hair, it’s very likely you will not get chosen. Ahmed has eye contact, a neutral look and skin tones reflects in the photo. 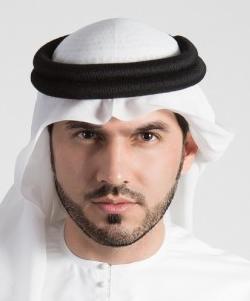 Ahmed has several head shots on his profile that displays both with and without head wear. Anna has very little makeup, a great contact with the camera and perfect lighting to display skin tones and even gets away with a great smile! A few tips to what to avoid when picking the headshot for your profile, keep in mind that if your profile picture does not look like the 2 above you are probably doing something wrong. If you don’t know which photographer to choose or how to get started with your headshots, feel free to contact us on support@mixfame.com and we will send you a list of photographers we have worked with previously. Pick a photographer who has experience with head shots and make sure you communicate that retouching has to be limited to camera blur, small spots or blemishes and obvious light problems. Take the photo so only the upper body and face show in the frame. Make sure the subject is in focus with the focus point being their eyes. Lighting is alpha-omega to make sure the facial features and skin tone shows correctly. So a light from behind the photographer targeting the subject is ideal. If the image becomes to dark, go outside and get natural lighting. *If you are already doing modeling or acting on a professional level you should contact a photographer and get a professional photo done.